It was Monday night, and was deciding on what to prepare for dinner when I realized that I love stir-fry and hadn’t made it in a while. Don’t worry if you don’t have a wok, just a large frying pan will do fine. I used my large frying pan. It’s not an exact science but you will need certain key ingredients. I decided to make it and foraged through my pantry, I was missing a few things but substituted a few other things and it worked out just fine. 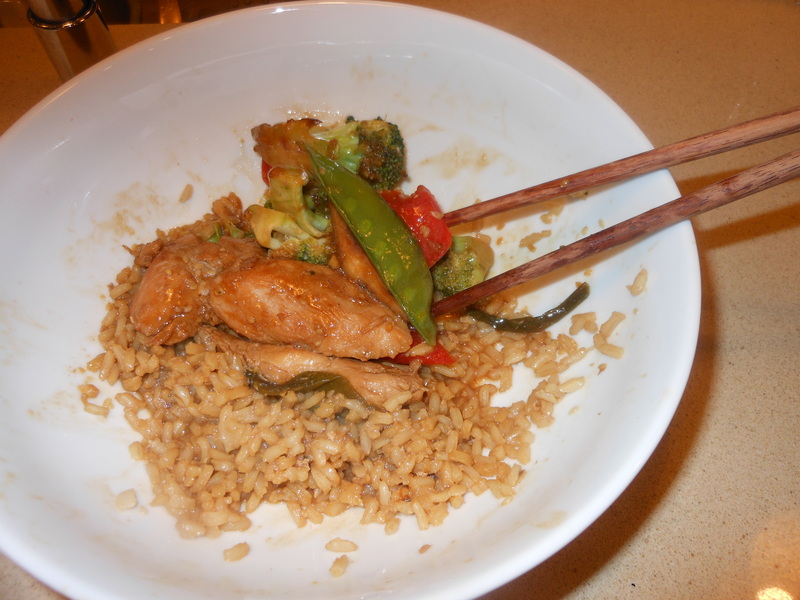 It was delicious .I would have liked bok choy and some other chinese vegetables but used what I had. I had a little red pepper, a few mushrooms and broccoli. Onions would be fine too. Almost any veggies you like, and obviously tofu can be substituted for chicken. This is what I did. If using tofu, use the extra firm type. vegetables ( whatever you like) broccoli, cut into florets, bok choy, baby corn, onions, red peppers, mushrooms, snap peas, etc. In same skillet as chicken heat 2 more tsp. 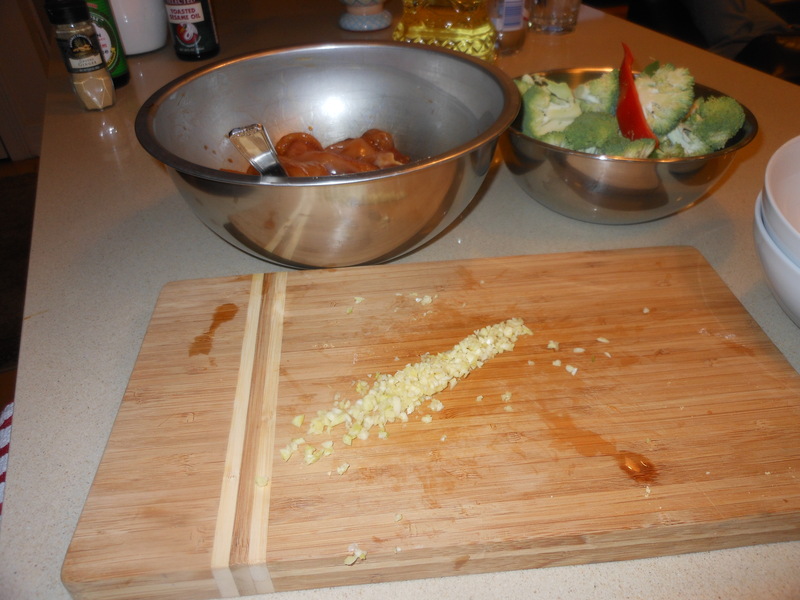 canola oil add white parts of onions, ginger, and garlic. Cook and stir for a few minutes at medium high without burning. Adjust heat. 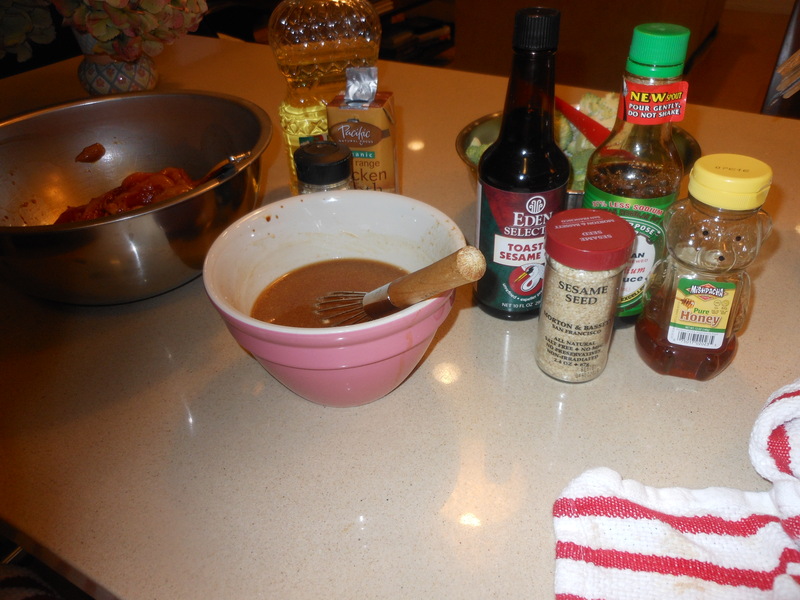 Then add remaining vegetables and stir fry till they begin to cook , when vegetables are cooked, add chicken and pour sauce over chicken . 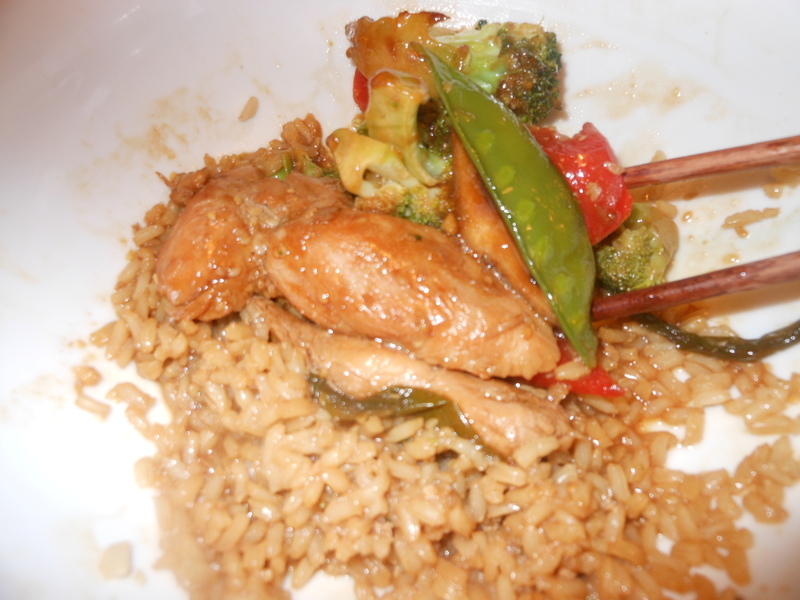 Cook for a few minutes, and I served over brown rice. Sprinkle with sesame seeds and green onion tops. 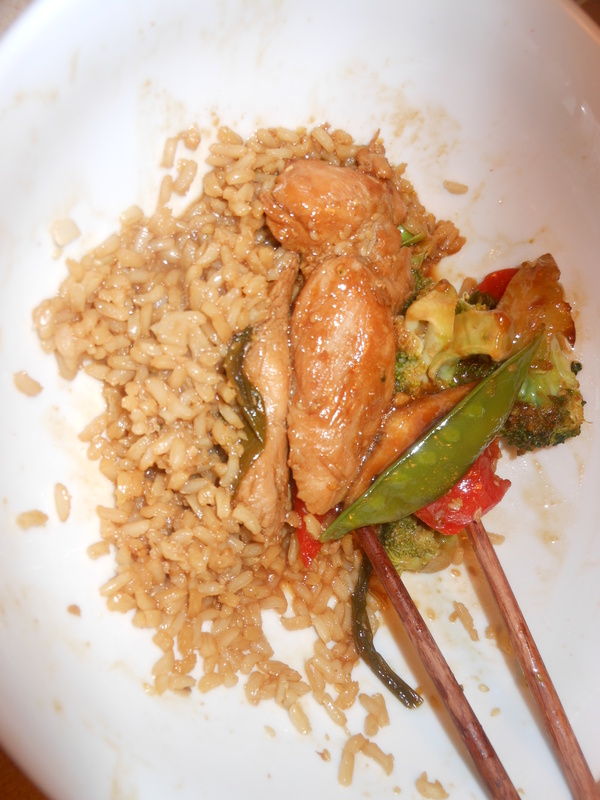 This entry was posted in Stir Fry and tagged Chicken Stir Fry with veggies, Sesame Chicken Stir Fry with Veggies. Bookmark the permalink. Sesame Chicken and Vegetable Stir-fry. Perfect meal made with chicken , shrimp or just vegetables. Serve over rice, noodles or left alone . Easy and delicious. Next time you’re in the supermarket pick up a few of these items so you’ll have them on hand. You can change up the ingredients to make it your own way. Bok Choy is one of my most favorites mixed in. Light and Easy. Enjoy all year round.